Electraeon Classic Chrome Series Points Covers for Harley Davidson Motorcycles. 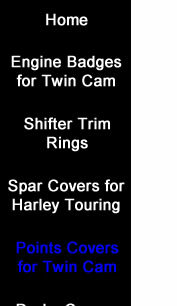 Classic Chrome Series Points Covers for Harley Davidson Motorcycles. Electraeon Classic Chrome Series Points Covers feature model specific inset classic styled script that is machined into the surface. 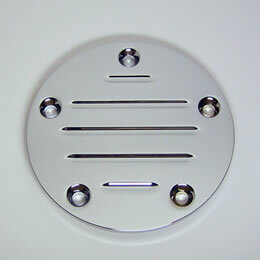 The covers are made from CNC machined 6061-T6 billet aluminum and finished in fine quality triple plate show chrome. Fits all 1999 to 2018 Twin Cam engine equipped Harley Davidson motorcycles. 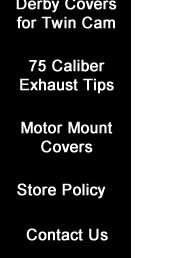 Stepped 96 inch Points Cover. Stepped 103 inch Points Cover. Ball Mill Grooved Points Cover. Stepped 95 Points Cover for Harley Davidson Twin Cam. 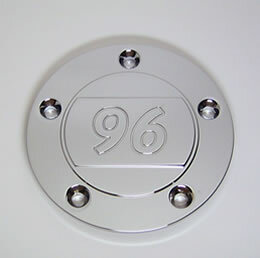 Stepped 96 Points Cover for Harley Davidson Twin Cam. 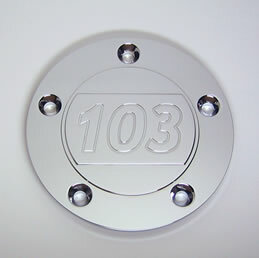 Stepped 110 Points Cover for Harley Davidson Twin Cam. 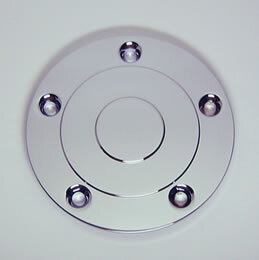 Radial Stepped Points Cover for Harley Davidson Twin Cam. Arc Stepped Points Cover for Harley Davidson Twin Cam.